The City’s Teen Commission and Recreation Department are hosting a hackathon in Cupertino. Cupertino’s dedicated teen coders are invited to participate in Cupertino’s hackathon for a shot at victory. The City’s Teen Commission and Recreation Department are hosting Hack Cupertino on April 13, beginning at 6 p.m. and running until 11 a.m. the following morning. The dusk-til-dawn hackathon will be held in the Quinlan Community Center, 10185 North Stelling Road. Participants will be presented with a problem and teams of up to four teens will work together on a solution. Winning teams will have the opportunity to present their projects to the Cupertino City Council during a live, televised meeting. Teams will also receive a formal commendation from the council. Participants are limited to high schools students between ages of 13 and 18. To ensure the safety of all guests, all participants must present a 2018-19 high school identification card or other proof of grade or age to be allowed into the event. According to organizers this a “lock-in” event, which means if participants leave the Quinlan Center at any point during the event, they will not be allowed back in. For more information, to register, download forms and view an event supplies checklist, click here. 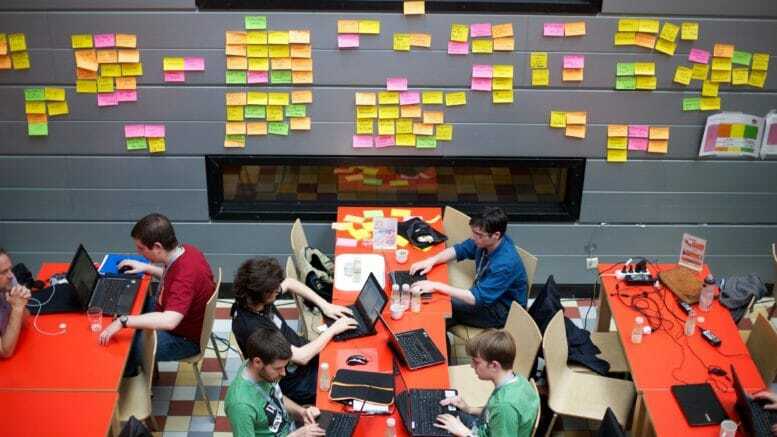 Be the first to comment on "Teens invited to overnight hackathon"